For Lenovo, the craze for selfies knows no bounds — the company has developed a robot that can be remotely adjusted to take pictures from a mobile device. The Fiebot is more like a tiny four-legged tripod for mobile devices. A smartphone can be placed on top of the robot, which in turn can be adjusted to different positions via an infrared remote control to take a selfie or shoot videos. The robot can tilt and pan, and take panoramic pictures and record videos over wider viewing angles. In some ways, the Fiebot is good for more than selfies. Remote control in hand, you can take group pictures with a smartphone without setting up a timer. The robot will ship with software for gesture tracking and face recognition. With those features, the robot can be used for remote monitoring, or to keep an eye on children. Many more features will be added to the robot in future versions, said CK Lee, CEO for Glasswonder, a Chinese company that designed the robot for Lenovo. The next version of Fiebot will feature speakers and a projector that can beam smartphone videos to a wall. More prototypes of the Fiebot are under development and it’s possible the robot will get its own built-in camera and also legs, which would make the robot truly mobile without the need of a smartphone. Selfies are developing into an art form. HTC’s Desire 826 can take auto selfies, which can then be modified to add makeup, remove red eye or even change lighting conditions. Lenovo introduced an Xtension Selfie Flash accessory for mobile devices that can give that extra burst of light when taking selfies. 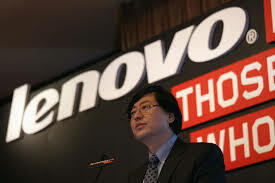 Lenovo will sell the bot first in China, though no price was provided by a Lenovo representative.